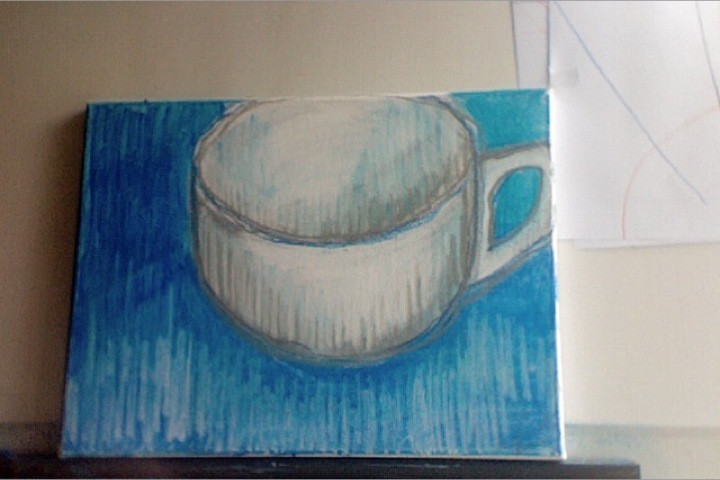 So, finally, after having sketched cups for about a month…after having drawn umpteens of them when I was ill and recovering, I have decided to have a go at canvas. Always feeling a bit more serious than just drawing on a sheet of paper or in a sketch book. In the second one I just developed that process further – I used the broader side the pastel for sculptural/painterly gesture and modelation on the network of fragile lines. Then layer upon layer of the painting, adding pieces of information, about the surface too, and its interplay with the surrounding. That is what I saw. 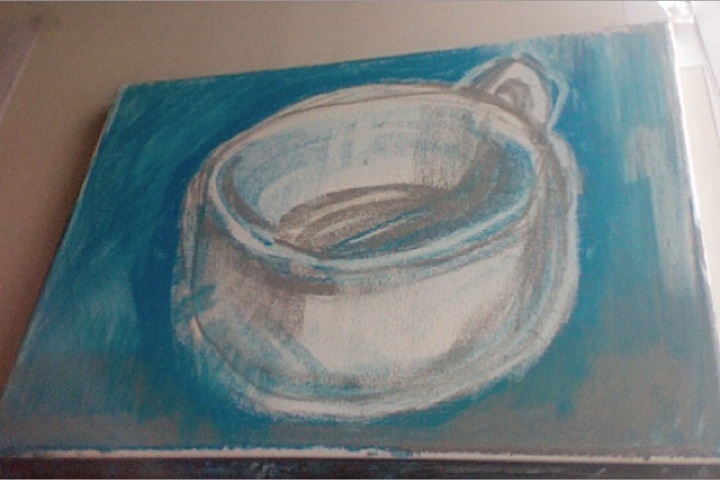 I loved the colours too – the turquois and greys and whites…calming in a way.